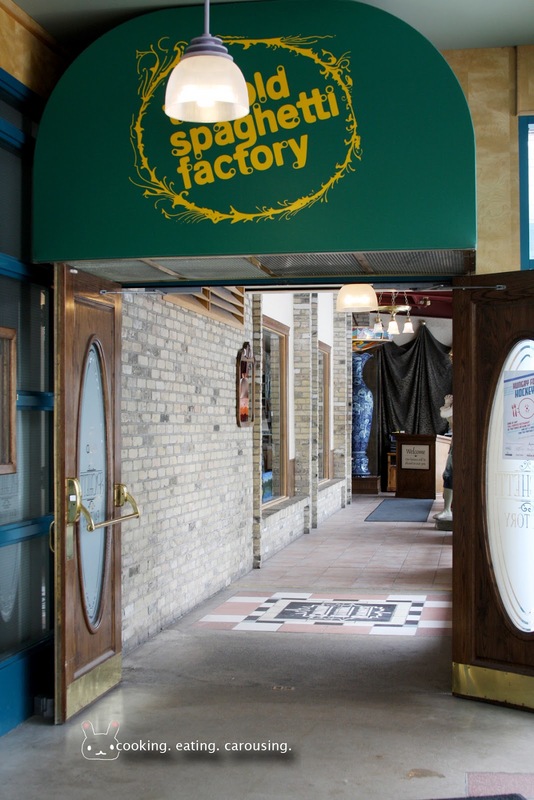 My first encounter with the old spaghetti factory (OSF) was in Winnipeg at The Forks. I was charmed. 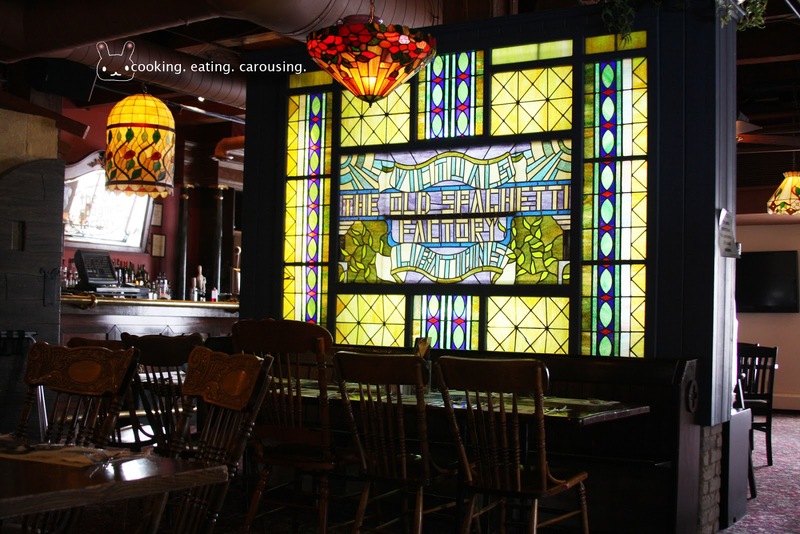 The decor at the Winnipeg branch had a paris-meets-wild-wild-west feel to it, with its stained glass windows and art deco lampshades and furniture. Though they had a combination of seating arrangements, we picked one of their comfy and intimate booths. 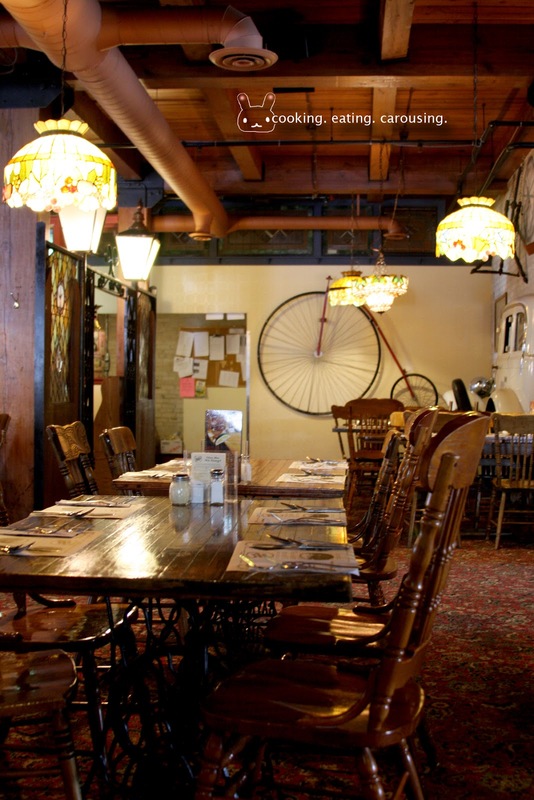 The decor was what charmed me, but I wouldn't have came back again and again to its other restaurants all over Canada, if the food wasn't up to scratch. Where else can you get a 3-course meal for $10? Seeing as we're trying to keep our budget to the minimum during our Canadian cross-country road trip, this was a way for us to fill our bellies to the max without breaking the bank. For its standard ~$9-$13 "It's all included" dinner, you will be started off with a starter of pillowy warm sourdough bread with creamy whipped garlic butter, which we would usually eat half of, and wait until after we finished the mains before polishing the rest off (if there's still space in our tummies). 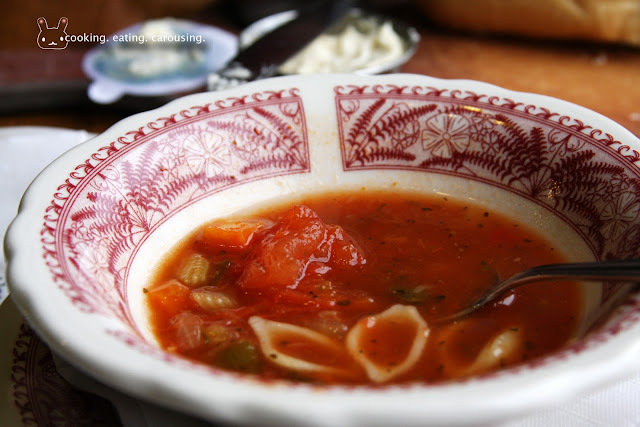 The next starter is a choice between salad and minestrone soup, we always picked minestrone soup, it packed plenty of heat, warmed us right up from the cold weather. 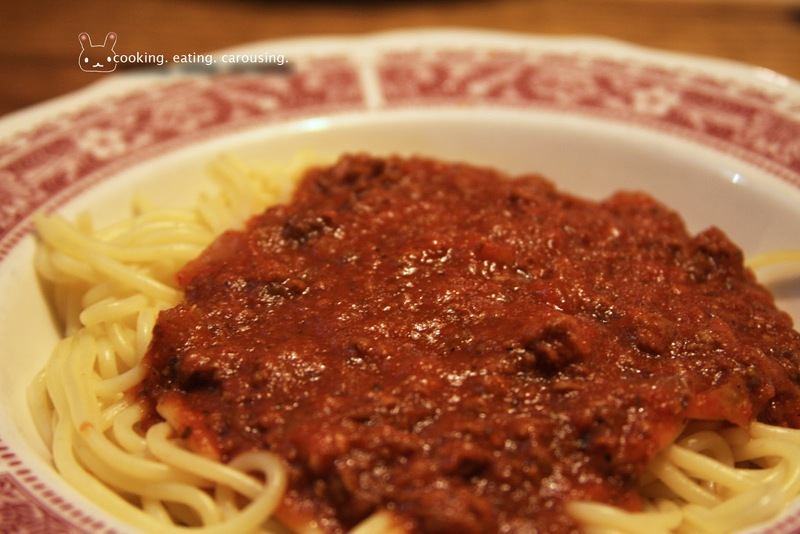 Then the pasta, my favourite is the spaghetti with meat sauce, essentially it's a spaghetti bolognese. 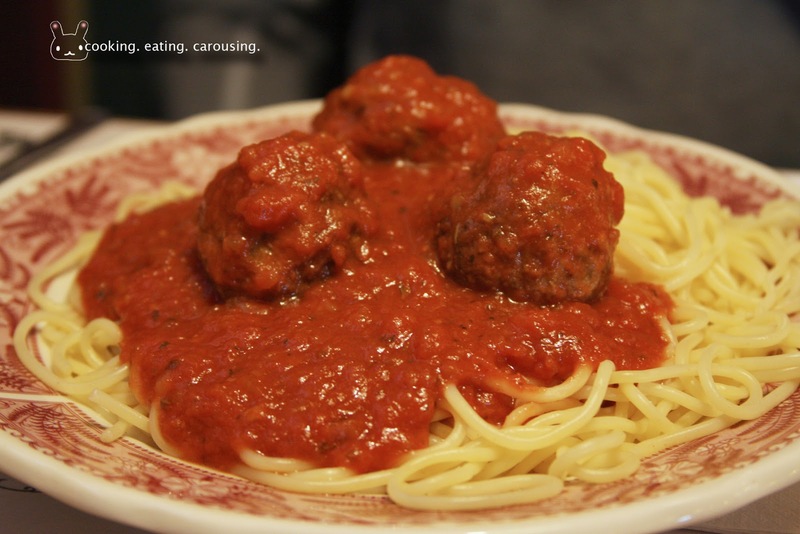 I don't ask much, as long as the pasta is al-dente and the sauce is meaty and not watery, I'm good. All to be washed down with a small single serve jug of steaming hot tea. 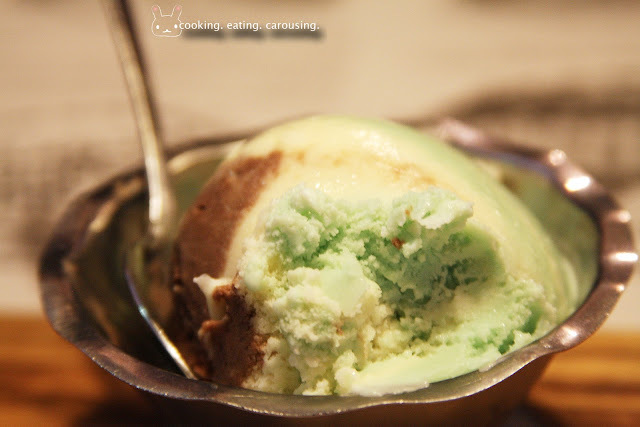 For dessert, spumoni ice cream, a green pink white chocolate coloured ice cream, which is less creamy, more refreshing. We actually went to the Forks OSF for lunch, which meant I had the lunch-size spaghetti, which was still decently portioned. And this also meant, instead of the $10.95 dinner price, I spent a well-worthed $8.95 for the three-course meal. I have to say the best OSF we went to in terms of the food is the one in Winnipeg. 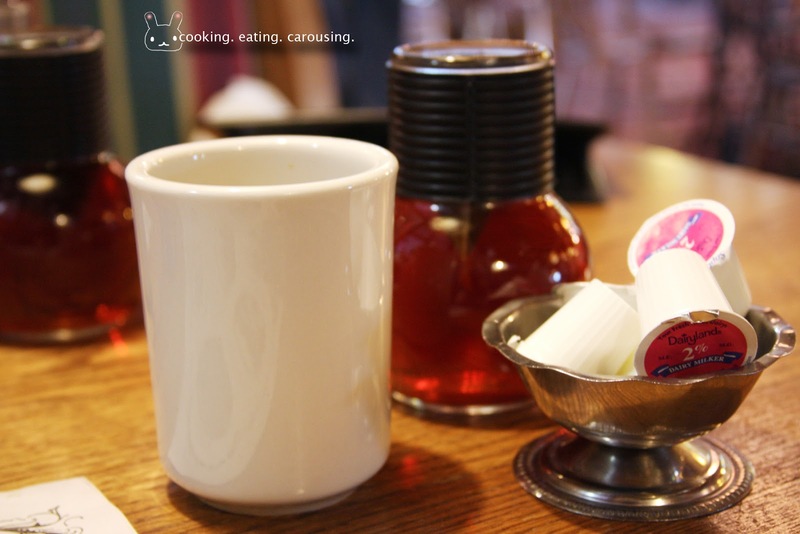 Though the service was a tad sporadic, there were perhaps only 4 other tables in the restaurant beside us, but it was difficult for us to get the attention of the waitpersons to get some more tea. Fortunately like all of the OSF restaurants, food comes relatively quickly, so it wasn't much of an impediment. The next one we went to, and it was the worst one, was in Banff. 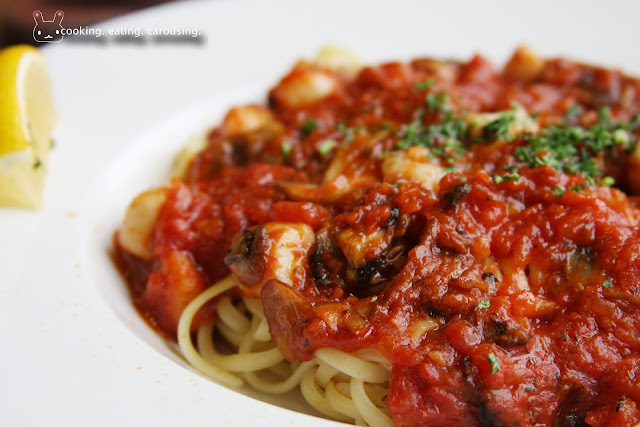 It was lunch, eventhough the service is the most gracious of all the OSF restaurants, the seafood linguine marinara I ordered tasted odd, not fishy, just odd. I quite like the decor of the one inside West Edmonton Mall and the food was standard OSF. One other thing that I love about OSF is the trivia we get on the paper placemats. 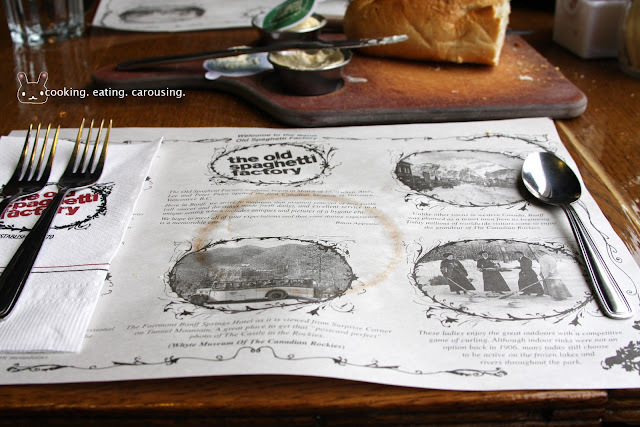 You get different trivias tailored specifically about the province where the OSF restaurant is located in. It's like food for our brain, we learn about Canada while we feed our stomachs. 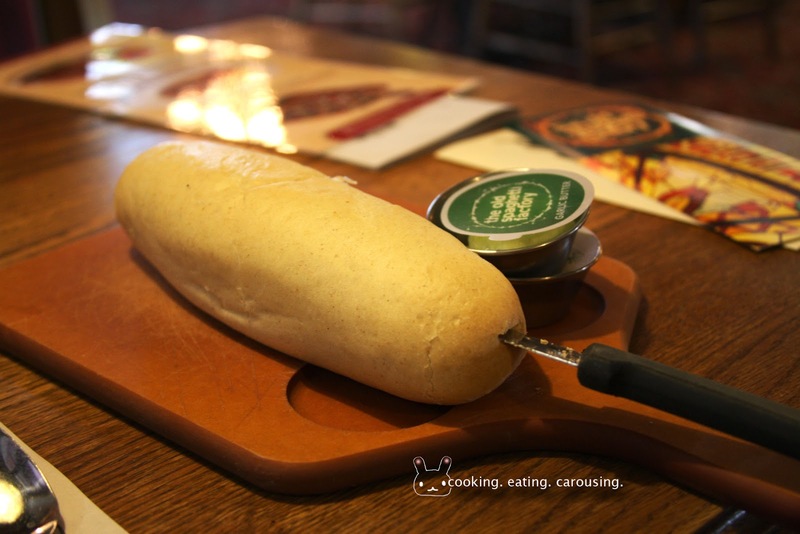 When we went to the OSF in Victoria, it was jam-packed, with customers literally queueing out the door. People were rammed against the maître d's table waiting for their names to be called out. Fortunately, our hotel was 5 minutes away from the restaurant, so we put our names down for a booking and went back to the hotel to rest before dinner. When we arrived, the queue subsided only a little, but we were seated pretty quickly. As it was still a hectic dinner hour, it was quite hard to get the waitperson's attention. I had the feeling that we had to rush because of all the people waiting to be seated. The food was standard OSF food, if not a bit more slapdash than usual. That is a lot of food for the price. We don't have pasta chains in New Zealand but we have lots of junk food. 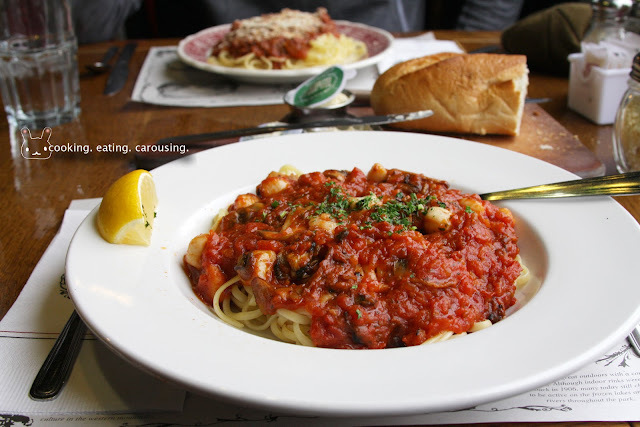 Spaghetti houses seem to be a good decent way to get full without being too unhealthy. I quite like the decor too. Not amazing but at those prices, not bad either. In Australia, we've got Fasta Pasta, but I've never eaten there.